The case comes in many colors, which are Arctic White, Black Pearl, Silver Arrow, and Titanium Grey. Today I am reviewing Silver Arrow because I like mixture between black and silver colors. The case is made of steel. It’s pretty heavy, which is good because the heavier the case, the less noise it makes. There is dampening material all over the case, which helps a lot in noise reduction. Fan controller for 3 fans is included. Let’s look at the front of the case. There is space for two big fans (120mm), but it’s up to you to decide where you want to put the fans and how many to put. There is a place for either 2 DVD Drives or one DVD drive and a floppy disk drive. I am sure most of us are not using floppy disk drives anymore, but incase all you want is just one DVD drive, you can always put fan controller or something like that in the second drive bay. Back of the case has two holes on top and two holes on bottom for a water cooling solutions. It can be great to minimize noise of computer. Power supply slot is located in the bottom. 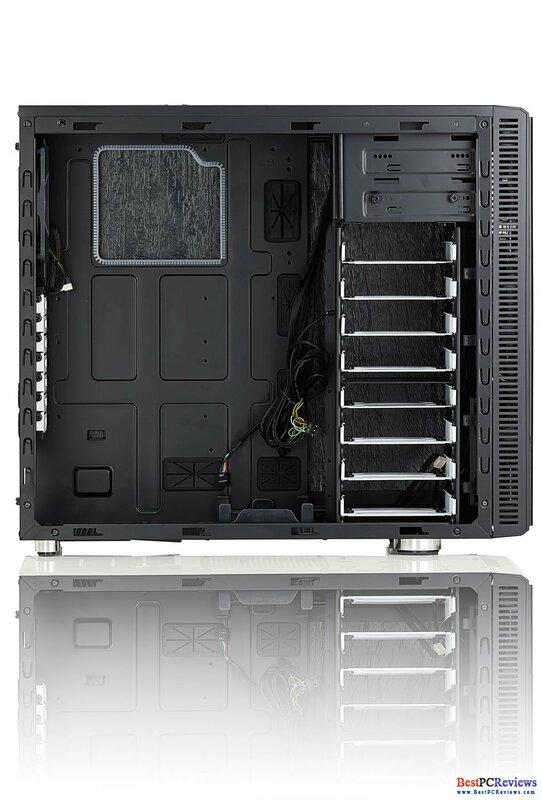 There are 7 PCI slots in the back of the case. 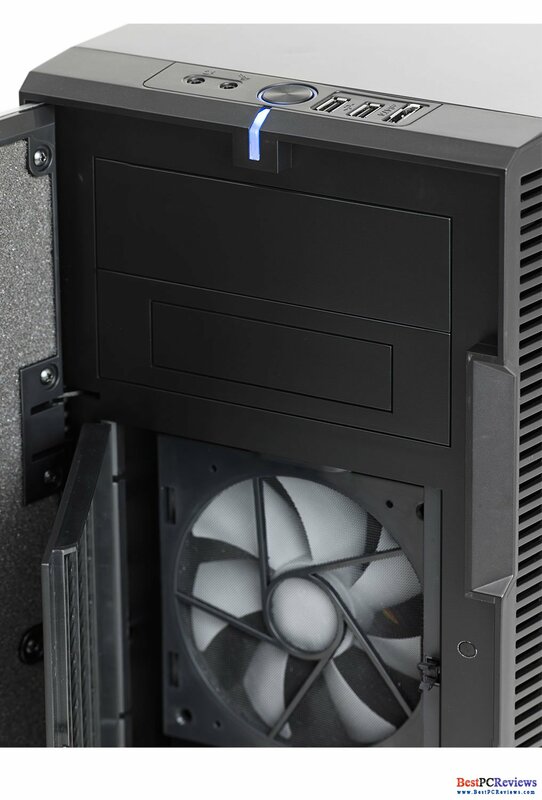 You can attach 120mm fan to the back of the case. When we look at the top of the case, we can see that there are slots for another two fans. You can use either 120mm or 140 mm fans for the top. Closer to the front of the case, there are power LED light, power button, 2 USB, eSATA, headphones, and microphone jacks. The side door panel is covered in dampening material and there is a slot for 120mm or 140mm fan. 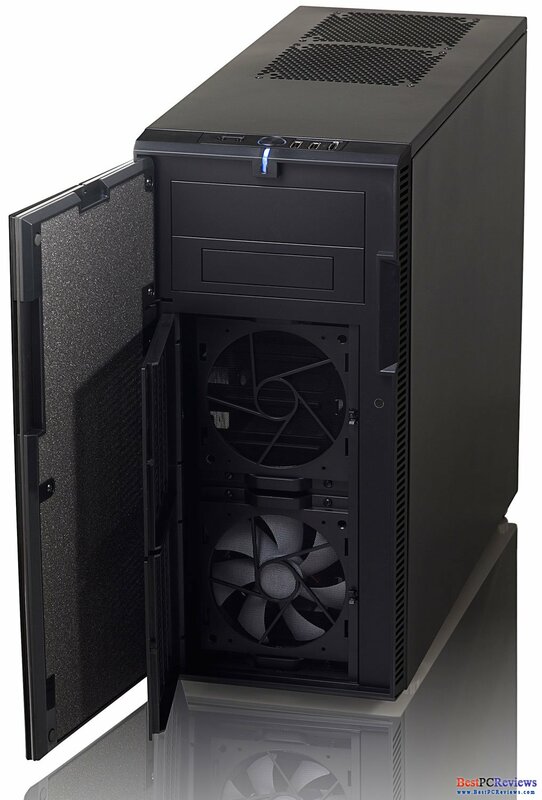 The case comes with two 120mm fans and you decide where to install them. Believe it or not, there is also spot for 120/140 mm fan in the bottom of the case right under a power supply. It sure can be useful to take hot air out of a power supply. Now let’s look at inside the case. As on the side panel, case is covered with dampening material. Fractal Design did a great job. They put big hole beyond motherboard for CPU cooler spot. They put four rubber holes close to the motherboard to hide all wires, which helps a lot for air circulation. 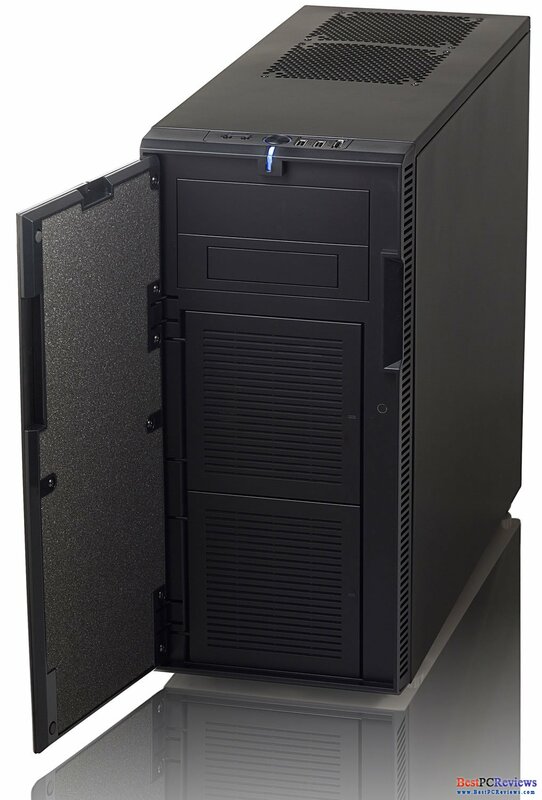 The case can fit huge power supplies and long video cards. You can fit up to eight hard drives in the big case. * Supports PSU's with a depth of maximum circa 170mm, when using bottom 120/140mm fan location. 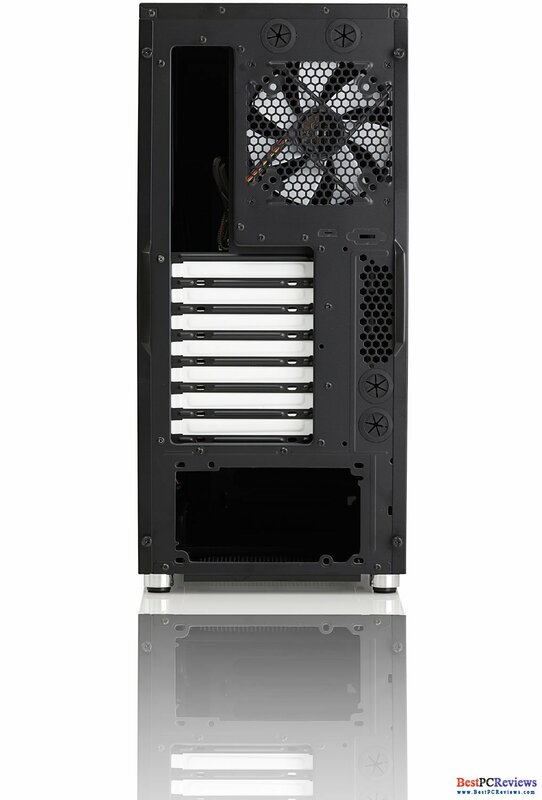 When not using the bottom 120/140mm fan location, the case supports also longer PSU's, typically 200-220mm. * 8x 3,5 inch HDD trays, compatible with SSD! The case right now cost about $110. I did not see any negative sides for the case. Everything is awesome. The case looks great, nice design, very quiet, and pretty big. 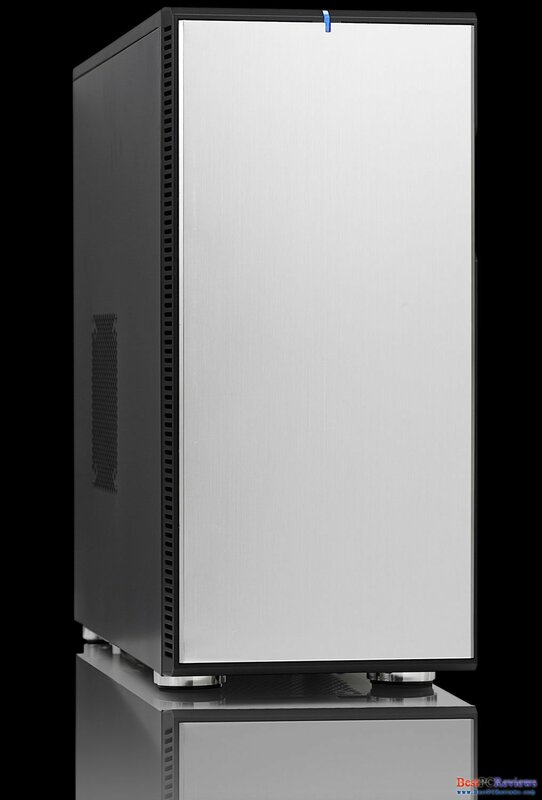 Fractal Design Define R3 Case gets BestPCReviews Editor’s Choice!